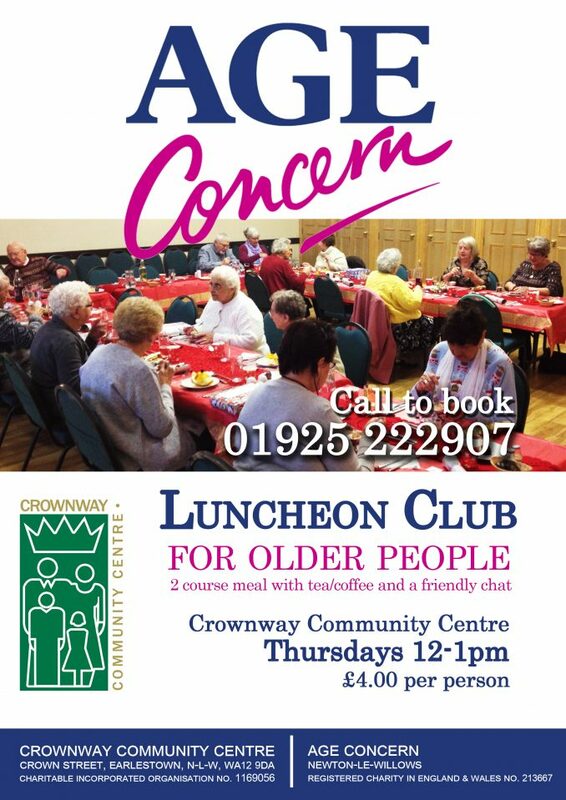 Age Concern Luncheon club every Thursday at Crownway is here to offer older people the opportunity to enjoy a freshly cooked two-course lunch prepared by experienced and welcoming staff, where you can come together each week and chat and have fun over a delicious meal in a high-class setting. We take great joy in treating our visitors to the best service, so please book early as places are limited. Dinner will be served at 12.00pm. After your meal, we host a social club in our large meeting room – 1.00pm-3.30pm – where you can play bingo, have tea and coffee and spend time with friends. Places are limited so please enquire with us first. If you, a friend or a loved one would like to attend, please come along on a Thursday around midday and speak with an Age Concern representative. This will give you the opportunity to see what goes on and to sign up for the following week. We have a variety of excellently cooked meals being served each week. How does Pork joint and apple sauce, served with roast potatoes, steamed cabbage, sage and onion stuffing and gravy sound? For dessert a scrumptious black forest gateau with cream tea and coffee? This is the level of service – for only £4.00 – you will get at the Age Concern Luncheon Club. 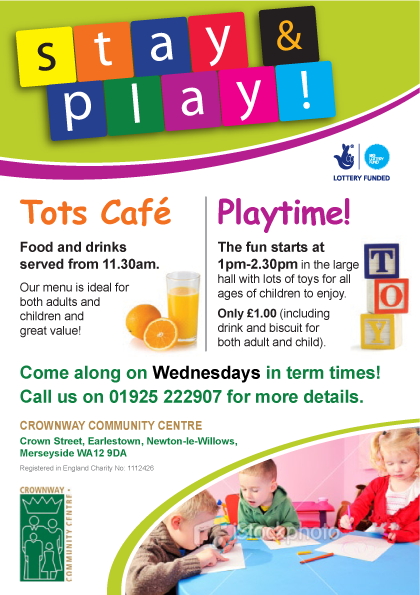 Every Thursday afternoon from 12.00pm at Crownway Community Centre. Please call to enquire about availability as places are limited to 25. You may be placed on a waiting list depending on the current attendance.